Nahmias et Fils is now on Wefunder! Invest in the craft spirits movement. Happy Spring! This season is a time for growth and we’re so excited to share our big news with you. But first we want to thank you for all the support you have given us since we first launched our distillery. 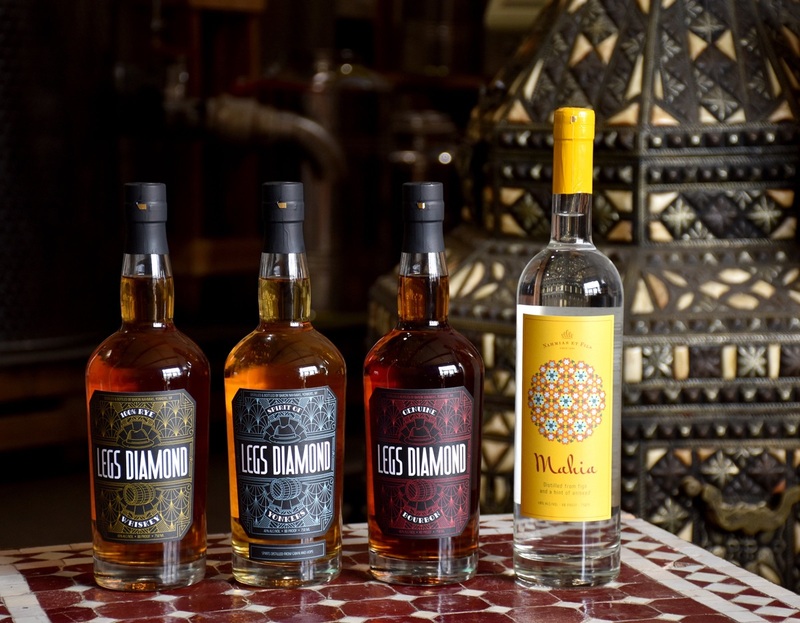 Whether you picked up a bottle of Mahia at your local farmers market, or tasted our Legs Diamond whiskies at your neighborhood liquor store, knowing we had your support has truly inspired and motivated us over these last seven years. We’re reaching out to you today to announce a very exciting opportunity that will enable us to grow even more. We have just launched our campaign with Wefunder, the largest funding portal for equity crowdfunding. This unique approach to investing allows for non-accredited investors to invest as little as $100 in companies they love, gaining an ownership stake with a share of the profits. Up until a few years ago, only the very wealthy could invest, but now we’re delighted that the people who have helped us grow our company can share in our success. We want the ownership of our company to reflect the people who have loved and supported it – you! We are now opening the campaign up to you, close friends, family and customers, to invest before the greater Wefunder community does. To learn more about this opportunity, please visit our profile on the Wefunder site, or reply to this email and we’d be happy to discuss.